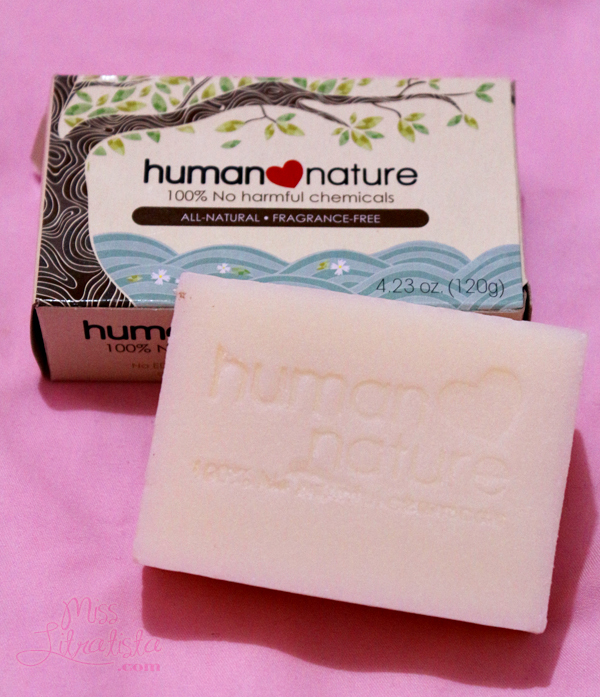 When I was invited to the Human Heart Nature Magalogue Turn-over last November, I got enlightened with the goodness of organic products from Human Nature that I can't wait to try their products, most especially the ones that they newly launched. 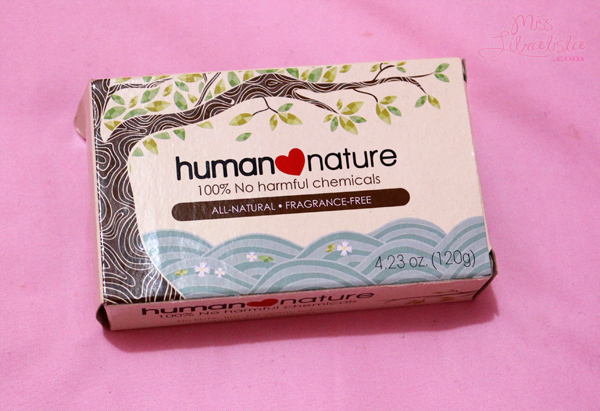 Thanks to Swexie of Trendsetters Fashion Boutique, I went home with a Christmas bundle that night, and one of the things included is the Human Heart Nature 100% Natural Cleansing Bar. 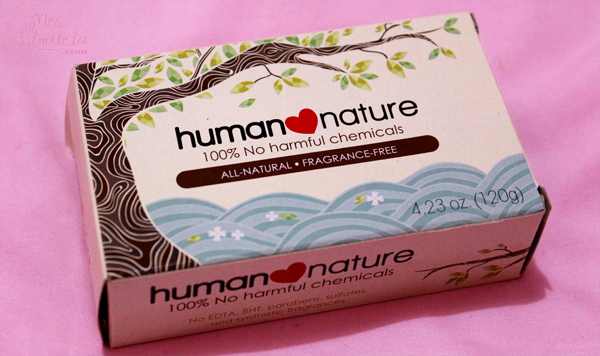 * It is fragrance-free thereby assuring us that no artificial chemicals were used. * It does not leave any white residue on the skin. * It lathers well and can be easily rinsed off. * It is not artificially- colored. 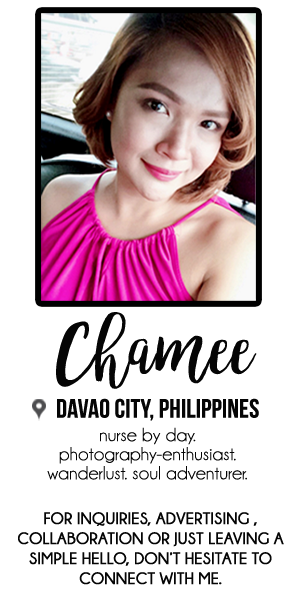 * It leaves my skin soft and supple after use. * It doesn't dry my skin. * It doesn't irritate my eyes. 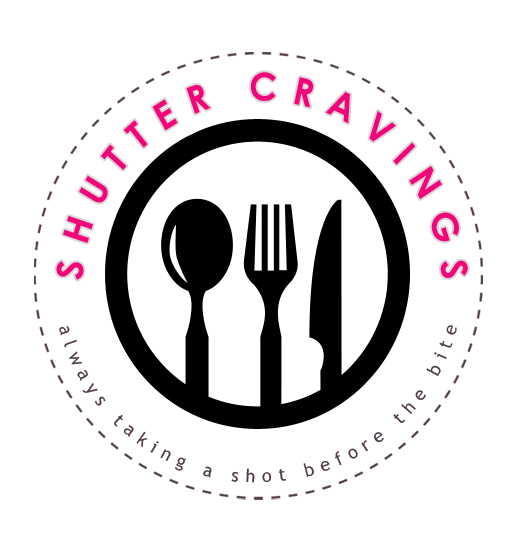 * It is inexpensive at a price of P64.75 per bar. * It does not dissolve easily. Sadly, this cleansing bar only lasts for a week with continued use. * This product was wrapped in plastic before placed inside the box. 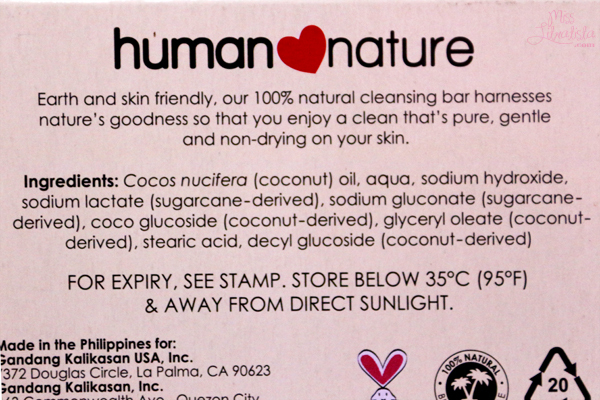 * Human Nature will produce other variants of this cleansing with whitening, anti-ageing or anti-acne properties. I am truly convinced with the mildness of this soap that I will repurchase this for my little nephew's consumption. 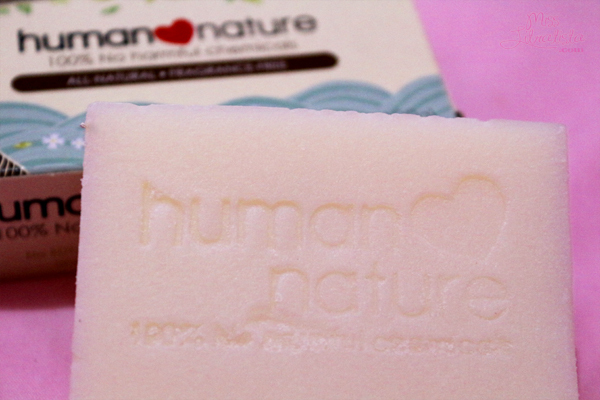 Its delicate effect on the skin as a cleansing bar is safe for babies and kids plus the fact that it is not-irritating. Have you tried this cleansing bar? What are your thoughts on this product? 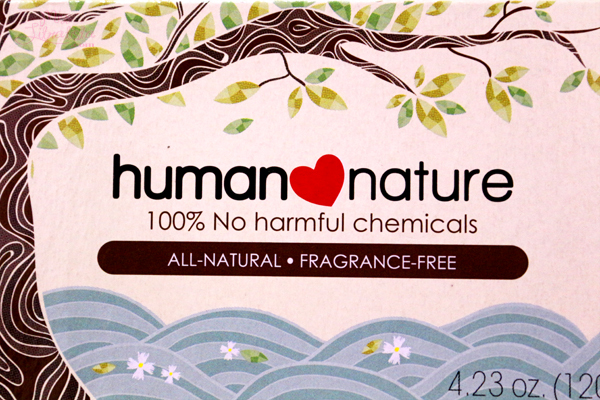 I'm a fan of Human Heart Nature products but I still yet have to try this product. I'm using Oilatum for my daughter. There's a P100+ difference between the two soaps. Hmm.